Plaque laid from P.S. 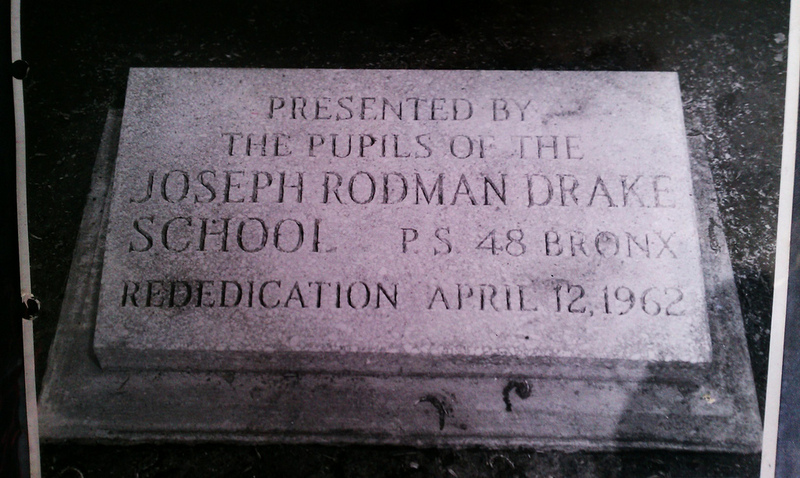 48 Rededication of Drake Park, 1962. Additional resources utilized in the development of the curriculum will be based on the New York State K-12 Social Studies Framework, the New York State Learning Standards and Core Curriculum for Social Studies, as well as the New York City Department of Education's K-8 Social Studies Scope and Sequence (great for understanding how you can align HPSBG to teaching standards) and Science Scope and Sequence. Teach the Hunts Point Slave Burial Ground Project and rest assured that you are addressing the most critical components of CCLS, NYSED Social Studies Learning Standards, and 21st Century Learning. Check out available hard copy resources in the PS 48 Hunts Point Slave Burial Ground Learning Center.